Spot now in Australia! Come see us in Sydney, Parramatta and Perth. 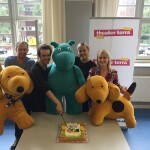 (9/20/2016) - Spot, the musical puppetry show by Theater Terra is based on the books by Eric Hill. The show has been touring around the world since 2013 with performances in the Netherlands, Belgium, the United States, Canada and Asia. 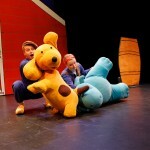 Spot can now be seen on tour in Australia, with performances in Sydney, Parramatta and Perth. Will we see you there? 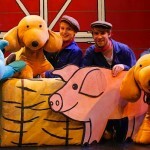 For all tour dates, click here to view our performance schedule. Just a few more weeks until Spot returns to North America (9/14/2015) - Just a few weeks until Spot will return to North America! 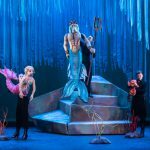 Today, the cast of the show started rehearsals in our hometown Amsterdam, The Netherlands. In October and November, we will be performing in South Carolina, Florida, Texas, California, Washington and British Columbia. For our complete performance schedule, click here. 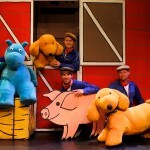 Spot returns to North America this autumn (6/15/2015) - After a successful touring the United States and Canada, January through May 2015, Spot – based on the books by Eric Hill, will return to North America in October and November, 2015. The new tour dates include shows in South Carolina, Florida, Texas, California and British Columbia. For more information, please view our Spot page or our performance schedule. 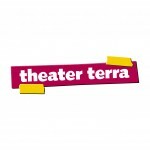 Theater Terra launches international site theaterterra.org (6/15/2015) - To celebrate our international tours around the world, Theater Terra is proud to launch our brand new website theaterterra.org. On this site, we will keep you informed on all our shows around the world. 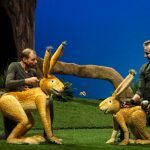 For more information about our shows in the Netherlands and Belgium, please visit our Dutch website theaterterra.nl For more information on bookings, please visit the contact page on this website.